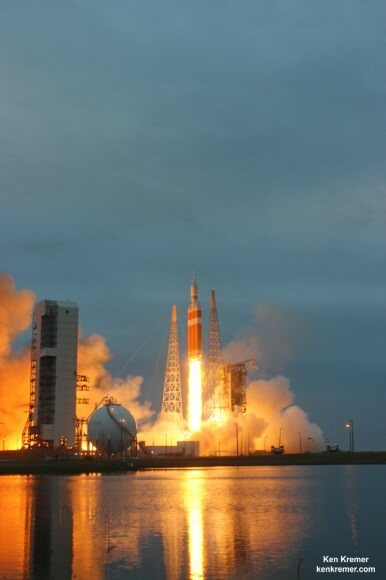 A heavyweight next generation of military communications satellites was launched on July 19, 2013 from Cape Canaveral Air Force Station, in Florida. 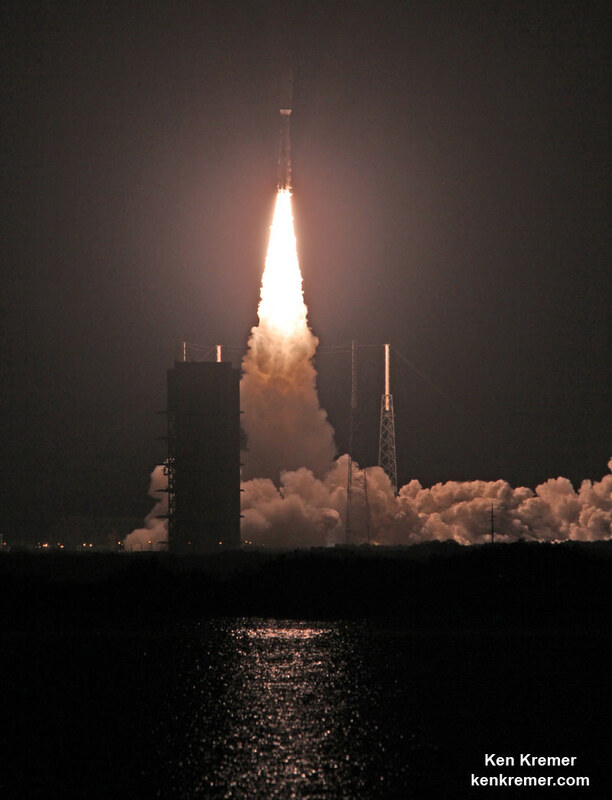 The Mobile User Objective System (MUOS)-2 satellite launched on board a United Launch Alliance Atlas 5 rocket, and is now in the process of reaching to its final geostationary orbit. Images here are courtesy of John O’Connor from the Nasatech website. 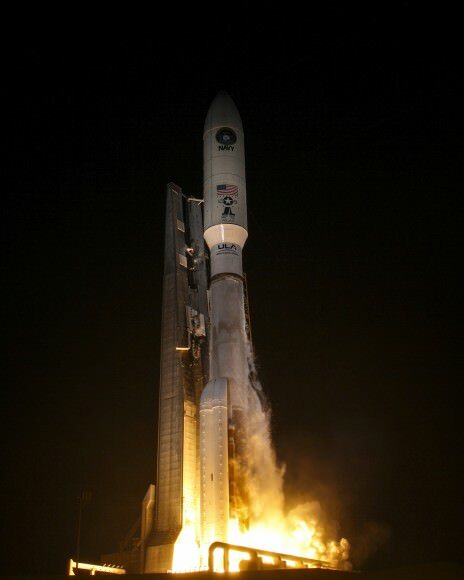 The satellite weighed nearly 7,000 kg (15,000 pounds) making it one of the heaviest payloads ever launched with an Atlas 5. 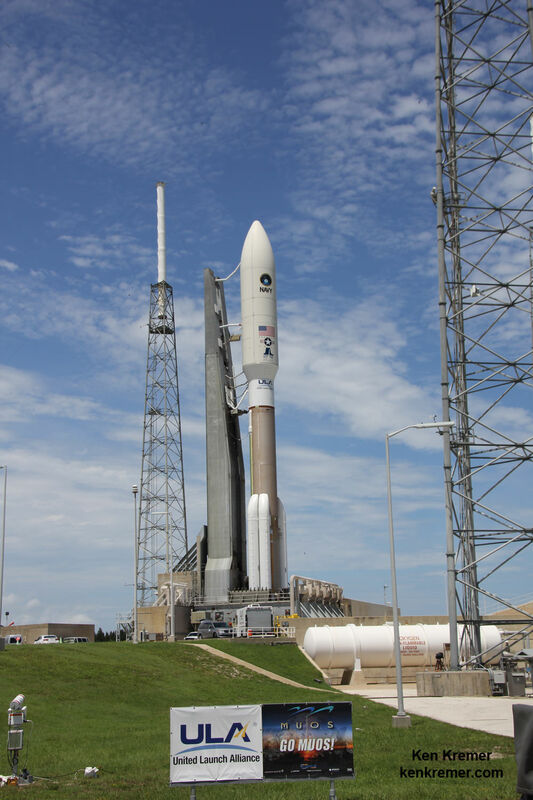 It will take about eight days to maneuver MUOS-2 into geostationary orbit according to Captain Paul Ghyzel, the Navy’s MUOS program manager. The US Navy says the new satellite is the second satellite in a new system that supports a worldwide, multi-Service population of users in the ultra-high frequency band. The system provides increased communications capabilities, and is designed to support users that require greater mobility, higher data rates and improved operational availability. 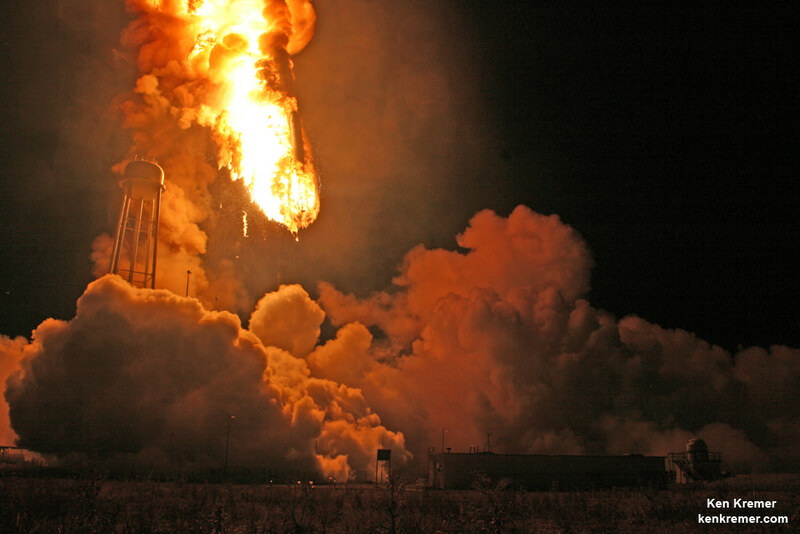 The MUOS-1 launched in February 2012 and there will be five such satellites in the system that are described as being like orbital cell phone towers to span the globe. The network will cost a total of $5 billion. See more MUOS-2 launch images from John at Nasatech.net.